Brewcade offers beer and cocktails in San Francisco, while Now Boarding celebrates classic airport lounges in Los Angeles. Combining the best elements of an old-fashioned arcade and a modern beer bar, Brewcade opened in December on San Francisco’s bustling Market Street. The venue is operated by the team behind the nearby venue Blackbird and features 25 craft beers on tap, highlighting local producers like Anchor Steam, Fort Point and Almanac ($4 to $9 a draft pour). 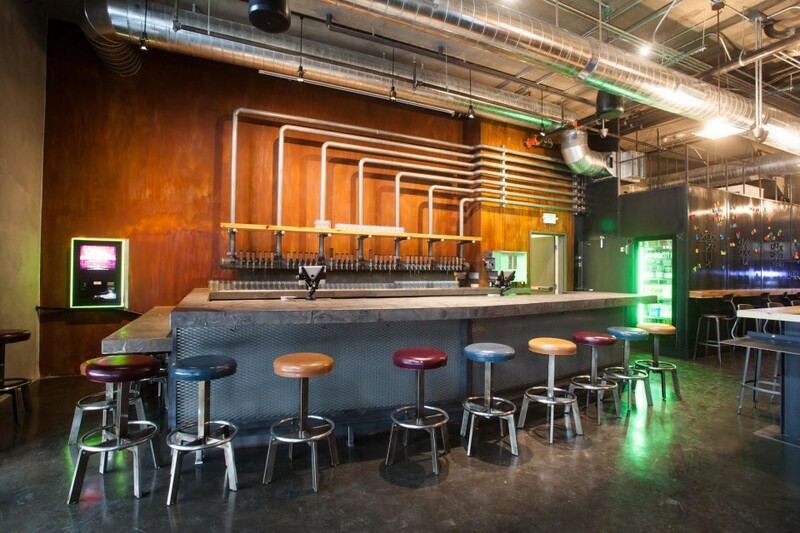 Though San Francisco–based brewers get top bidding, the bar features several beers made outside the Bay Area too, as well as a selection of wines on draft ($8) and carbonated cocktails ($9 to $10). Blackbird bartender Matt Grippo crafted the drinks menu, which includes selections like the Brewcade Aperitif ($9), blending Aperitivo Cappelletti Americano Rosso, Graham’s Fine Ruby Port and water, and the Grape Drank ($10), a slushie-style concoction that comprises Avive Pink Grapefruit sparkling wine, Heinz Eifel Spätlese Riesling and Marenco Brachetto d’Acqui Pineto. Brewcade also offers snacks like caramel corn, beef jerky and corn nuts ($2 to $5), along with a more extensive menu of sandwiches and larger appetizers in partnership with neighboring restaurant Hi Tops. The modern industrial space has a sleek interior and 24 vintage video games, including Donkey Kong, Gauntlet and Tetris. Taking cues from the golden age of air travel, Now Boarding is an aviation-themed bar designed to evoke a first-class lounge. The intimate venue opened in December in West Hollywood, California, operated jointly by London barman Steve Kelly and local mixologist Wil Figueroa. Cocktails ($14) dominate the beverage program and are organized by spirits base. Standouts include the Fog Cutter, blending Atlantico Platino rum, Aviation American gin, Laird’s applejack, tangerine, lemon, orgeat syrup and cream, and the Puddle Jumper, made with Espolón Blanco Tequila, El Silencio mezcal, ginger, mint, lime and honey. Now Boarding also offers craft and imported beers ($6 to $9 a bottle) and a small selection of California wines ($10 to $14 a glass). 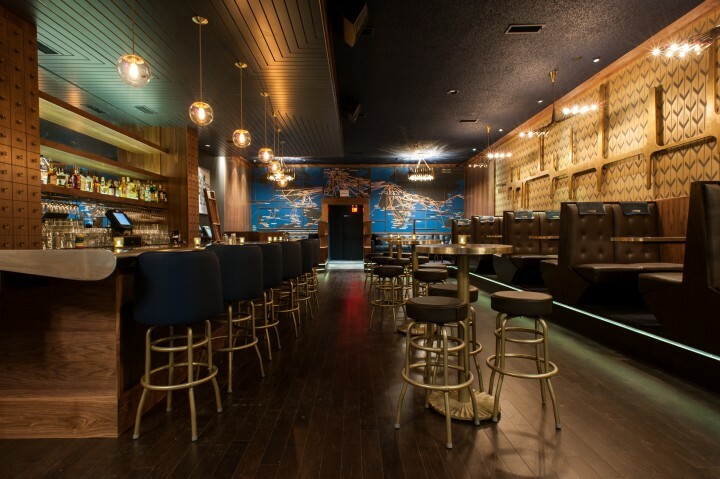 The bar features booths inspired by first-class air seats, vintage photos and large maps. Aiming to turn a little into a lot, Grain Spirits + Food opened in Midtown Atlanta in December with a focus on craft cocktails. The venue boasts several Bourbons and other whiskies, small-batch beers and wines, and upscale bar bites, including oysters and mac and cheese. Featuring a firehouse theme and 30 beer taps, Hook and Ladder is an old-school bar with a friendly vibe. The venue opened in December in Chicago’s Lincoln Park neighborhood with a menu of craft beers from around the country, including local Goose Island labels. The bar also offers a variety of shots and bomb-style drinks and a handful of wines by the glass. The beer haven Small Brewpub opened in December in Dallas’s Oak Cliff neighborhood, pouring a rotating roster of six beers made in-house. The tavern displays brewing equipment throughout the space and offers a variety of specialty cocktails, along with small plates like charcuterie and terrines. Miami’s Circa 39 Hotel reopened in December after a lengthy renovation project, unveiling the rum-centric WunderBar. The bungalow-style lounge boasts roughly 80 rums, with an array of seasonal cocktails that highlight fresh fruits and herbs in a tropical presentation.